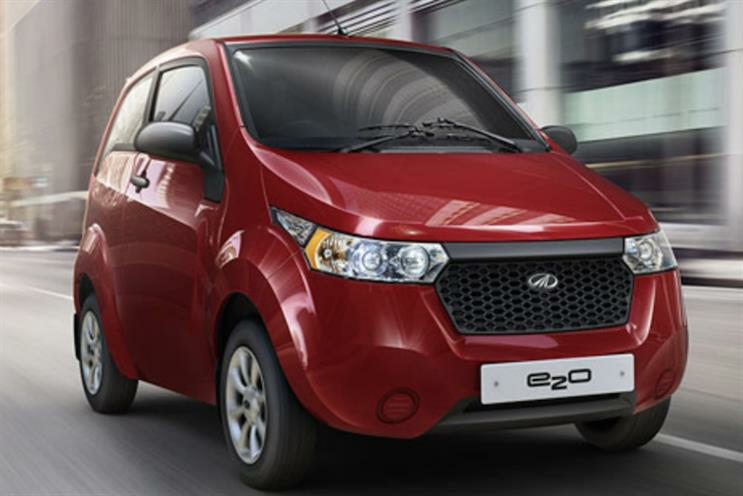 Indian manufacturer Mahindra is launching its e2o car in London next month, its first crack at a market outside of the Indian subcontinent, where it has been trialling the diminutive electric city run-around. Mahindra, which already has its own Formula E team, said the £10,000 e2o has been designed as an affordable City car that can compete with normal diesel cars. Arvind Mathew, chief executive of Mahindra’s electric vehicle business, said: "We want to take [electric cars] out of the elitist market and make it more of a run-of-the-mill thing. Our product is really designed for City commuting, not for long distance driving." He added: "Our foray into the UK is purely electric so it’s a big deal for us because as a brand we don’t exist. From the Mahindra group perspective, this is a huge deal." Supermarket giant Sainsbury's is considering raising its offer for retailer Argos to £1.5 billion after its parent group waved a £100 million 'carrot' at bidders last week. The grocer has until Friday to table an updated offer for Argos's parent, Home Retail Group. It bid £1.3 billion last month before South African retail giant Steinhoff gate-crashed the deal with a rival offer worth £1.4 billion – or 175p a share. Sainsbury's is understood to be considering a bid worth up to £1.5 billion in a mixture of cash and shares. A higher offer has been made possible by a surge in Sainsbury's own share price and the revelation late last week that Argos has £100 million more than previously thought in reserves. BuzzFeed marketing chief Frank Cooper unveiled a beta test of an ad format dubbed Swarm at South by SouthWest. It allows advertisers to run campaigns simultaneously across all of his company's web and mobile properties and six of its social platforms: Snapchat Discover, Vine, YouTube, Facebook, Instagram and Tumblr. "Instead of forcing all your traffic and spending all your resources to drive people to your owned and operated platforms, why not go to where they are," Cooper said. "We've done it, and in doing that we've built this power of an audience that crosses these different platforms." Cooper added that Swarm is a "cross-platform strategy that's designed to light up our entire network in a big, coordinated post". The millennial dilemma: generation, mindset or irrelevance? It's tempting (and useful) for marketers to put people in neat demographic boxes. But, as consumer lives become more fluid, age-agnostic and globally minded, is it time to put a stop to generational generalisations, asks Rebecca Coleman. At a time when parenting is endlessly interrupted by digital communication and social media, brands must beware of exacerbating the pressure on women, writes Nicola Kemp. ...hear what the public think of the Conservative government spending £5m to promote the new National Living Wage. Could Sainsbury's Argos bid deliver for both brands?